As a first time buyer, finally getting a foot on the property ladder is very exciting. But buying your first home can also be confusing and daunting. You will need a first time buyer solicitor you can trust. From dealing with estate agents to getting your mortgage approved, there is a lot to learn as you get to grips with the conveyancing process for the first time. That’s why we provide straightforward, jargon-free expert advice making sure you understand what is happening every step of the way. 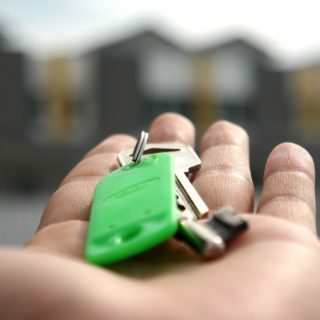 As a first time buyer we know how important it is for you to have the keys to your new home in your hand. Each and every one of our clients is our priority. It’s why our property solicitors have been crowned the best in the South West for customer service. Our conveyancing team is based in offices in St Austell, Truro, Falmouth, Newquay, Launceston, Liskeard, Penzance, St Ives and Holsworthy. That gives us a wealth of local knowledge and means we can provide a personal face-to-face service, in a location near to your work or home. Your property purchase will be handled by a senior and experienced conveyancer with an assigned assistant, so you have two people to contact at all times. Because we sit on most of the lenders’ panels we have the advantage, over many other conveyancers, of being able to act for both you and your lender, saving you time and money. Buying your first house is one of life’s great milestones. A property is also the single most expensive purchase most of us will ever make. We understand that costs are a particular concern so, to make things easier, we offer special rates for first time buyers. When you are buying your first house, you will be faced with lots of legal jargon. Buying a house is complex and it can also be a frustrating process. Our first time buyer conveyancing team will help you with every step of your journey towards buying your first house. We’re here to talk you through everything you need to know as a first time buyer from advising on mortgage rates to helping you understand what checks and searches you will need for your new home. The explosion in house prices in recent years has made it difficult for many first time buyers to get on to the housing ladder. There are a number of affordable housing schemes to help, including resale price covenant, shared ownership and Help to Buy schemes. Because the process of buying an affordable housing property is different, it is important to have conveyancers who understand exactly what you need. Our award-winning conveyancing service includes a specialist team dedicated to the affordable housing sector. We have expertise in all of the affordable housing schemes, so can offer you the very best advice tailored to you. What is the process for buying a house? We are recognised by all leading lenders to act for them at the same time as acting for you. This means we can provide them with a report on the property to secure or pay off the mortgage. We can recommend appropriate surveyors and specialist contractors to deal with matters such as damp/timber infestation, water quality testing, soil sampling and boiler servicing. Being based in Cornwall and Devon means we can also advise on specialist searches that are specific to this region, such as mundic block, mining features and radon gas. We guarantee your legal ownership of the home. This is the hidden work of a conveyancer, but probably the most important and valuable to you. We also ensure that you are fully aware of any restrictions on the use of the property and that it has all necessary rights to enable you to use it as a home. For a step by step guide on buying a house download our flyer here. Chloe - you have been great and I am more than happy with how everything has gone.